Some of the pictures were taken about two years ago. THE EASIEST, CHEAPEST and SAFEST WAY to CLEAN SILVER. First thing first, here are the Before and After pictures. The WHAT and HOW is further down the post. A traditional pressed powder that's been around for decades (maybe century?). 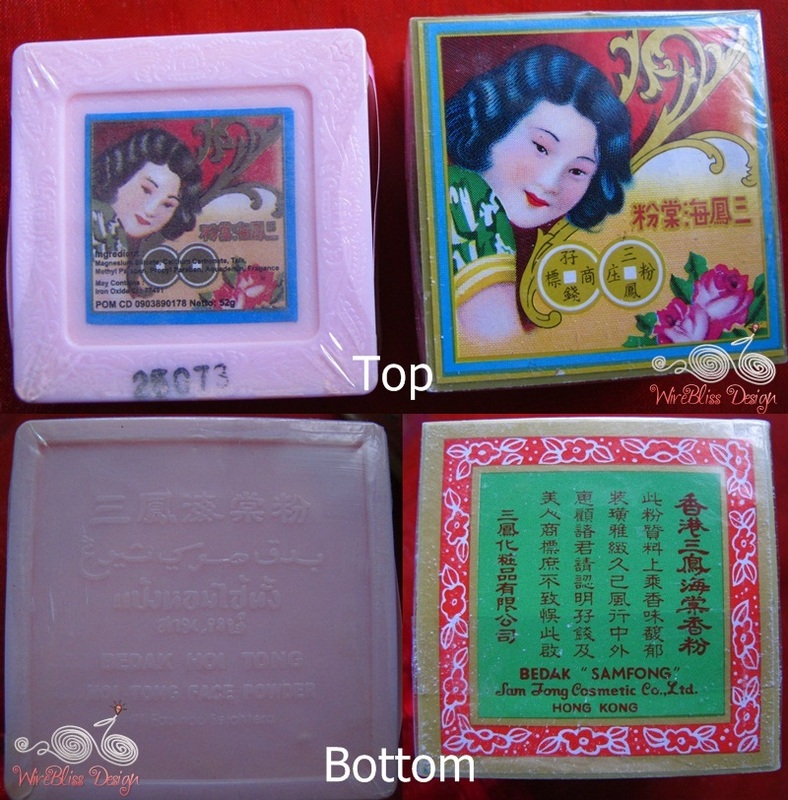 There are two types shown here, one made in Hong Kong (right) and one made in Indonesia (left, pink). If you are on this part of the world, you wouldn't have problem finding this powder. Its everywhere - sundry shops to mini markets to supermarkets. Not sure about the mall though. I don't use it but mom-in-law does. Not on her face but for her silver! Yes, the secret is out! ha! ha! 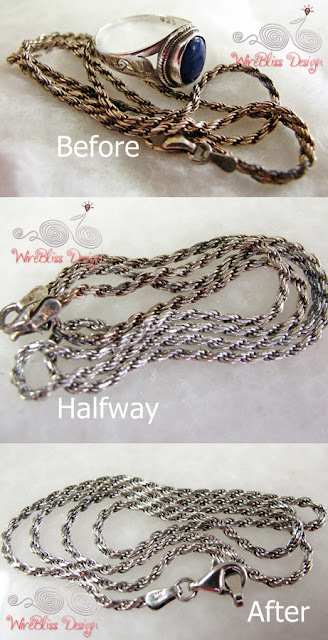 I learn this method of cleaning silver from MIL and she said her mother did the same. MIL is in her 70s so that's a long long time ago. You can use an old toothbrush too. 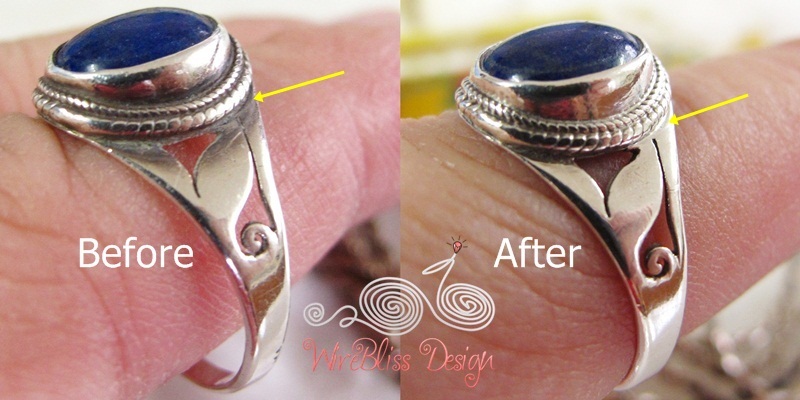 Just scratch some powder on and brush your silver ring or silver jewelry. The powder and the silver chain after cleaning. Just another cheap and easy alternative to clean your silver jewelries. Happy belated Thanksgiving to readers that are celebrating. lol...I know what you mean about posts being overdue...happens to me all the time! Interesting way to clean silver Mei...I've never heard of that powder before? Yeah, when i first found out, I was like wow! so easy. Not sure where you can find this powder but maybe you can check out China town at your place, if you have one. All the best. If you are in Asia or SEA, you can find it at the sundry shops, mini markets, supermarket or market - at cosmetic, personal care or maybe toiletry section.